As we approach the July 2nd date of AMFEST Expo 2018, Panelists from around the world have started sending their confirmations of their attendance at the event. One of the panelists who has confirmed that he will be speaking at the event is one of Nigeria’s foremost DJs DJ Jimmy Jatt. 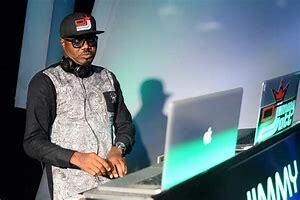 Oluwaforijimi Adewale Amu , professionally referred to by his stage name DJ Jimmy Jatt, is a Nigerian disc jockey who is revered as one of the pioneering hiphop DJs in Nigeria. He started out his music career as a rapper under the sobriquet Master J but delved into DJing later in life . He is best known for his Jimmy’s Jump Off concert, an event he started in 2008 and which has become one of the most attended and biggest DJ event entertainment events in Nigeria. In 2006, he won the Hip Hop World Hall of Fame award at the maiden edition of The Headies for his contribution to hip-hop in Nigeria.